We're always looking for ways to spice things up and our dinner options are no exception. Most people love preparing chicken meals but it can get a bit routine, so we always looking for new ways to prepare it. I can honestly say I've tried this recipe at least 4 times and it is amazing! It only takes about 30 minutes to prepare and best of all it's baked not fried so you won't feel guilty about going for seconds! 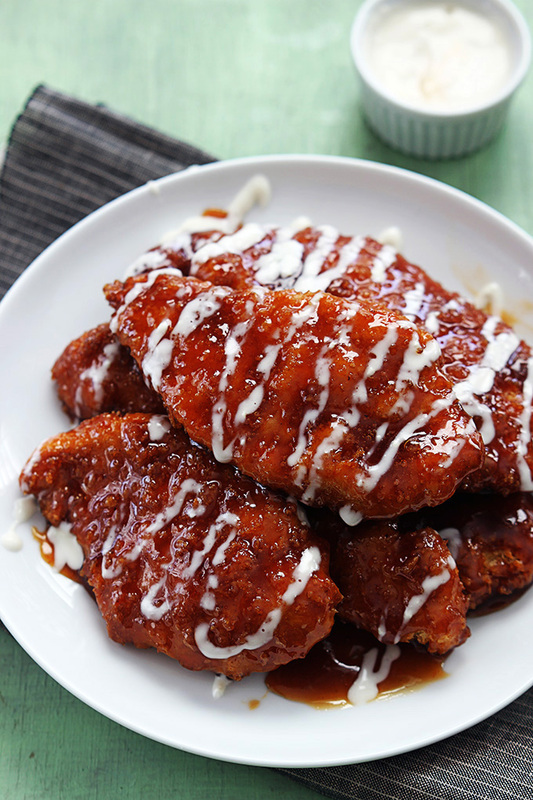 Now you can make Winger's famous sticky fingers right at home anytime you get a craving. 3 easy steps will put these saucy baked chicken strips on the table in just 30 minutes! Slice chicken breasts into strips. Add chicken strips and flour to a large ziplock bag. Seal and toss to coat chicken in flour. While chicken is cooking, prepare the sauce. Add brown sugar and hot sauce to a medium sauce pan and stir over medium-high heat until melted and mixture comes to a boil. Remove from heat and stir in garlic powder and water until smooth. You can check out the full recipe and all the details here. What are some of your go-to recipes? Let us know in the comment section below! !